The purpose of this article is to synthesize empirical research conducted on culturally responsive mathematics teaching (CRMT) with culturally and linguistically diverse (CLD) learners. Thirty-five published studies between 1993 and 2018 met the criteria for inclusion in this review. Criteria included: (a) the study was published in a peer-reviewed journal, (b) the study was conducted within a K-12 U.S. public school context with practicing teachers, (c) culturally responsive teaching or culturally relevant pedagogy was part of the study’s theoretical framework, and (d) information about methods was reported. Findings reveal the value of CRMT in fostering equitable and inclusive mathematics learning environments. More research on CRMT with CLD students in school settings is warranted. Implications for policy, practice, and research are discussed. Aceves, T. C., & Orosco, M. J. (2014). Culturally responsive teaching (Document No. IC-2). 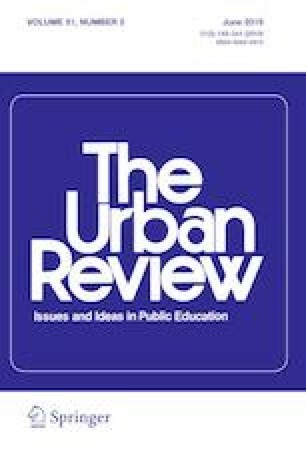 Retrieved from University of Florida, Collaboration for Effective Educator, Development, Accountability, and Reform Center website: http://ceedar.education.ufl.edu/tools/innovation-configurations/. National Center for Education Statistics (2017). National student group scores and score gaps. Retrieved from https://www.nationsreportcard.gov/math_2017/#/nation/gaps?grade=4. Accessed 1 June 2018. Rittle-Johnson, B., & Jordan, N. C. (2016). Synthesis of IES-funded research on mathematics: 2002–2013 (NCER 2016–2003). Washington, DC: National Center for Education Research, Institute of Education Sciences, U.S. Department of Education. Retrieved from https://ies.ed.gov/ncer/pubs/20162003/pdf/20162003.pdf. Accessed 4 June 2018.